The Camlok TPR series of profile steel grabs are designed for the handling and transportation of "I" Beams, steel girders or RSJ's. 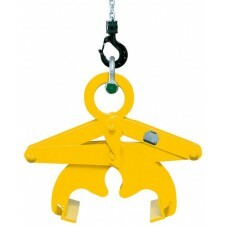 These Grabs are manufactured with a large jaw capacity. Camlok Block Grab with Rubber Pads. Available with either manual or automatic latching mechanism. 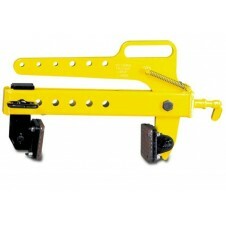 These block grabs operate in a scissor action and are fitted with a swivelling jaw which allows for parallel lifting. Camlok Inside Coil Grab. 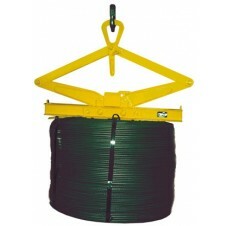 Capacities available 100 kg - 5000 kg. Internal grabs are available in three versions for the handling of cylindrical and rectangular hollow bodies. Hoist and Winch supply a range of Yale Camlok lifting grab clamps that are ideal for the transporting and handling of different loads and materials in a variety of different applications. 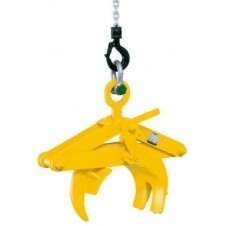 These grabs are easy and simple to use, and make for safe lifting, and some can be fitted with plastic pads or rubber lining to minimise marking of surfaces. Shop the range online now.